I wished I lived in the Carolina Zone... tall grasses, rich variety of species, Kentucky coffee-trees, magnolias and flying squirrels... who wouldn't want that?!? Learn more at Carolina Dot Org. If you are in Southern Ontario (the Canadian banana belt?!?! ), you can help by planting certain flora species in your own backyard. “Rats with wings.” Is that how you think about pigeons? 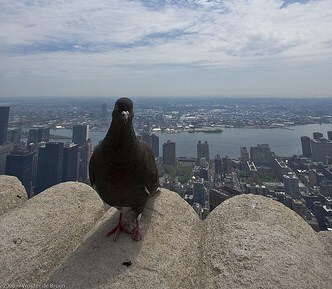 If ecologist Matt Palmer from Columbia University has his way, you’ll look at these urban dwellers (and maybe even rats) with new eyes. A handful of new phone apps can also help us to connect with and think differently about wildlife in the city. And that change of mindset may be a vital and necessary step towards conserving the world’s resources. With more people living in urban areas, the ability to appreciate the nature around cities will be an important “bridge” to caring more broadly about conservation. Frog Watch Ontario: amphibian monitoring program - learn the frog and toad calls online, pick your site, monitoring it once or twice a week from March to July and report your findings! Ontario Turtle Tally (since 2003): when you spot a turtle register it online (location, type, number, habitat, etc.). You can even submit a photo and the GPS coordinates. Best time for turtle sightings is in June when they are migrating to nesting sites. Worm Watch: this monitoring program is helping scientists determine the number and variety of earthworm species and the health of habitats. I.D. info is available online - be the first to report for Ottawa! The Lost Ladybug Project: you can make a day out of this one - using a sweep nest and visiting various sites. Size and description of ladybugs (including photos) are needed and even "nul data" info is important to report. Monarch Larva Monitoring Project: data collected will help with the understanding of butterfly ecology and effects on populations. Information on eggs and larva are collected either as anecdotal data or by committing to monitor a patch of milkweed for the entire butterfly season (from late spring to fall). The objective of Lost River Walks is to encourage understanding of the city as a part of nature rather than apart from it, and to appreciate and cherish our heritage. Lost River Walks aims to create an appreciation of the city's intimate connection to its water systems by tracing the courses of forgotten streams, by learning about our natural and built heritage and by sharing this information with others. The Toronto Green Community started Lost River Walks to help us discover the fascinating world of the watershed beneath our feet. This site is the start of a field book on the lost streams of Toronto. Bits of our city's history, both natural and built, are included. Those interested can take a virtual lost creeks walk, or better, use the information to take a self-guided tour. Come explore nature hidden under our city and along its ravines and byways. The next walk is scheduled for April 15th (as part of the Thirsty City Walks) - this Sunday - so check them out! 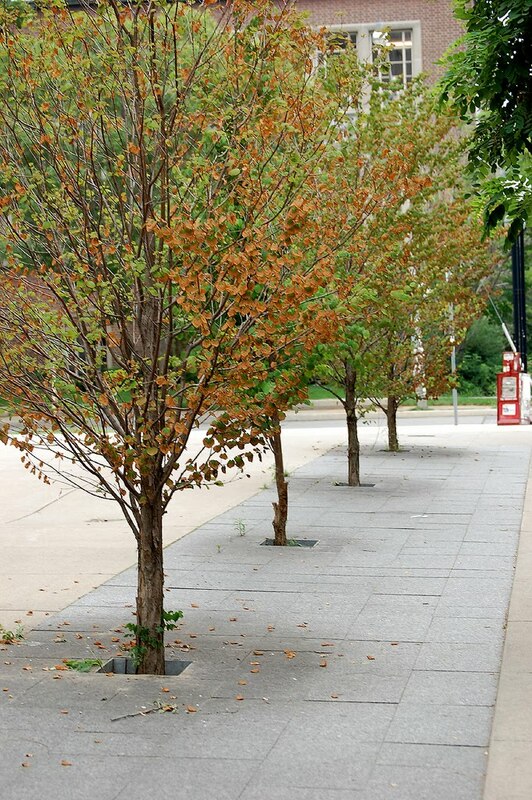 Ever wondered about how urban street trees get the necessary water to grow - especially if they are surrounded by impervious ground cover? I remember seeing one tree in Montreal that had such a small tree pit and was on such a steep slope that I worried that all rain water would just run down the hill and leave the tree parched year round. It seems that those at Toronto Spacing also wonder what makes a good tree pit: Urban Design Of Tree Pits. The post is about the attention tree pits received from local BIA's and residents in different areas of the city. It was a continutaion of this post about the actions in Kensington. It also includes many pictures of tree pits (including the one above) that were seen during travels and shown as possible alternatives for tree pits that Matthew Blackett shows in his post. - Trees NY has a list of good vs. poor tree pit guard design. - Design guidelines for 4 types of tree pit guards that NYC Parks&Rec uses. 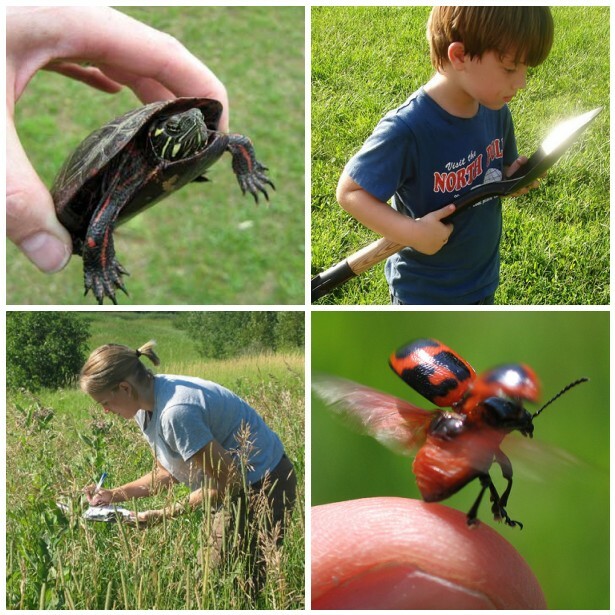 Have you ever participated in a bioblitz? These are usually a one-day event, where various experts on different types of flora and fauna are invited so that all (or as many as possible) species of a location are documented. This is a great opportunity to learn more about the nature surrounding you and to see what type of biodiversity exists in an area. Check with local nature, wildlife or field naturalist groups to see if they are planning one in your city this summer.